Mount Kailash is one of the most sacred mountains for the Hindus and is situated in the highest and the isolated part of Western Tibet. It is believed that the mountain is being resided by Lord Shiva who is known as the god of destruction according to the Hindu mythology. Mt. Kailash area perimeter is one of the most religious pilgrimage sites for the Hindus. Each year thousands of Hindu devotees visit Mt. Kailash perimeter in groups. Generally, the trip to Mount Kailash which is done in groups is known as Kailash Yatra. There are various means and ways of visiting these sacred religious sites and Kailash Inner Kora is one of them. Day 1: Arrival at Tribhuwan International Airport Kathmandu welcomed by Shivam Group Holiday representative at the airport then transfer to hotel and evening all yatris assembling for briefing and dinner overnight. Day 4: Simikot to Hilsa- Early morning breakfast at the hotel just walk to helipad and wait for some clearance of weather and formality then, fly to Hilsa takes 20 min there take some more time to exit from Nepal and then Check in to China its normal formalities finished that meet with Chinese a Military and Tibetan guide get in the Chinese bus drive to Taklakot there on the way is custom & immigration process clear the custom checked in to hotel overnight. Day 7: Drive to Darchen (altitude 4575, 40km) – Early wake up having tea, coffee & start Pooja, Hawan to feel spiritual after that having fresh lunch and drive to Darchen overnight. Day 8: Drive to Yamadwar 8 km and then Trek to Dirapuk (altitude 4860 13km trek)-now start Mt. Kailash Parikrama (kora) it takes three days 42km trek to highest altitude 5600 (Dolma pass). Moreover, The Pilgrims who decided to go against on the Kailash Parikrama or Return Back Darchen. Yatris who booked horse & porter should leave only after identifying your horse & porter. Day 10: Early Morning has Tea / Coffee with biscuits then trek to Zuthulpukvia KhandeSanglam (it is believed that Lord Shiva meditates here). We will go through an amazing experience through Shivasthali. On the way, we see two important aspects of Inner kora, Kuber Kund & Kuber Parbat. Overnight stay at Zuthulpuk. Option for Out Kora: Trek to Zuthulpuk ( altitude 4760m 22km trek approx. 9hr)-Early morning wake up and then have breakfast at same time chance to see golden Kailash then continue trek to Zuthulpuk, pass Dolmah-la (Gauri Parbat) see Gaurikund overnight. Day 11: Trek to Darchen& Drive to New Dongba –Early morning finish the breakfast and continue trek Darchen complete Kora then drive to NewDongba. Day 13: Early morning trek to Inner Part of Mt Kailash where you expect to visit SherlungGompa, Rishi Cave, Nandi Parvet, Astapad, KailashiGange, Sapta Rishi caves and Atmalingam. Near Atmalingam there is a white lake and red lake of importance. Similarly, The high pass between Holy Mt. Kailash & Nandi Parvat needs some experience of high altitude trekking. Total trek 22kms. Trek down to SerlungGompa following the trail of KailashiGange and reach Darchen. Day 16: Morning fly to Nepalgunj –Breakfast at the guesthouse and transfer to helipad fly back Simikot by helicopter and then if everything is good to fly back Nepalgunj and evening fly back Kathmandu overnight on hotel. Day 17: Departure –Morning breakfast at hotel and transfer to Tribhuvan International Airport to connecting your onward journey. Local Mobile [Chinese, will be charged as per the use]. The network will be there Indian roaming sim also work. Kindly consult your doctor and Age limit 66 years. Since Mount Kailash and Lake Manasarovar is situated at high altitudes please start exercises like walking, jogging, yoga and other breathing exercises in order to have a successful yatra. Medical insurance is most important if you are travelling to Kailash Manasarover So please make sure you cover yourself for emergency evacuation (helicopter) in the insurance. Water bottle Thermos flask for hot water (1/2 litre), Torchlight /batteries || Dusk masks/face masks, wet Tissue. Enough clothes but do not overload. Shivam Group Holiday Pvt. Ltd. will do its best to make the tour with safe and smooth. Since all the tour programs are conducted strictly under the rules and regulations of Tibet Tourism Bureau (TTB) And China India pilgrimage service centre (CIPSC), Shivam Group will not be accountable for any changes due to change of official rules and laws of Tibet. 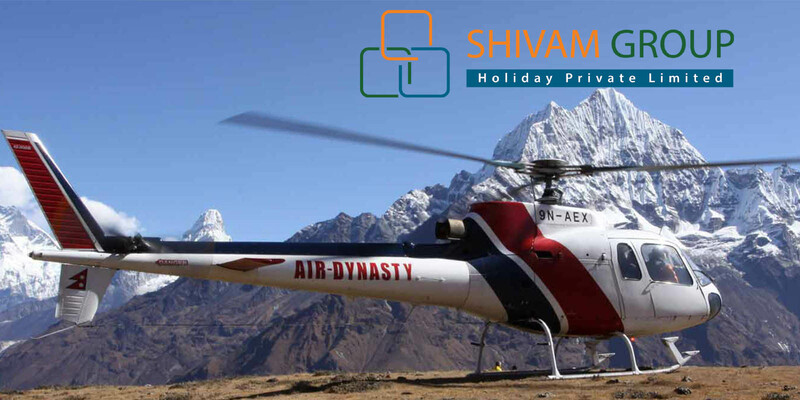 Shivam Group will also not be responsible for any changes in the schedule due to unavoidable circumstances such as landslide, road blockage, flood, snow, and political unrest, cancellation of flight, sickness and accidents. So, clients have to pay the extra cost if these above circumstances extra cost arising circumstances occurs. Info: In short, Kailash Manasarovar Yatra is yatra, not a tour Yatri needs physical fitness, Yatri manages their horse & Porter money themselves. Try to eat food properly, if some problem update to the leader without hesitates. Tibet part is mountain desert so drink enough water and juices. Kindly support and cooperate with each other as a team it makes very comfortable, memorable and enjoys yatra. As a result, Lord Shiva will fellow all best with success every one everywhere.